My husband and I love finding fun & unique places where we can take our four-year old granddaughter, Amy. 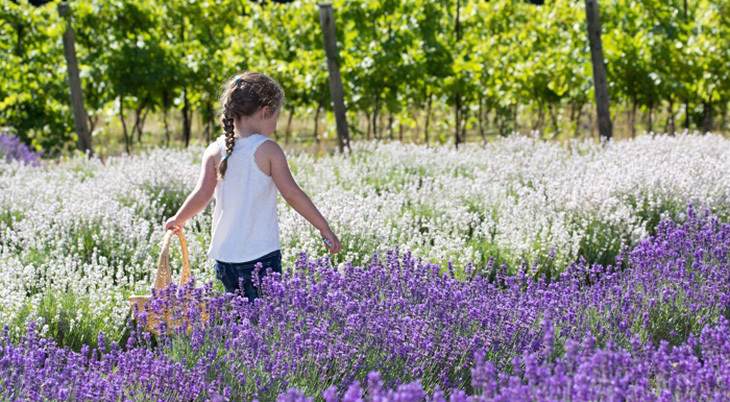 Since she has a love for flowers, we knew that we couldn't go wrong taking her to the 8th Annual LavenderFest at Bonnieheath Estate Lavender & Winery. 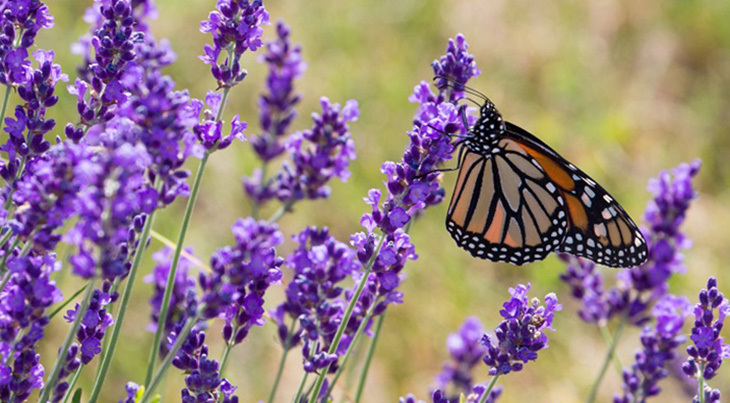 Located at 410 Concession 12, Townsend Road, Waterford, Ontario, Bonnieheath Estate Lavender & Winery is one of the prettiest lavender farms in Southern Ontario. They are open to the public daily from 11am to 5pm through until Thanksgiving weekend, but in early July they host their annual LavenderFest. 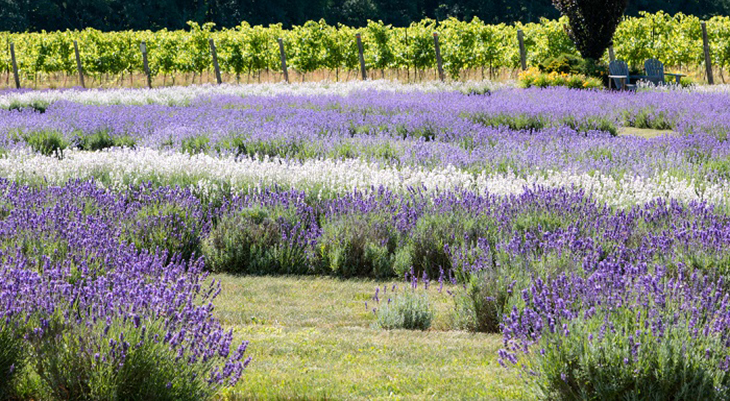 Lavender is at its peak on the farm from mid-June to the end of July. We arrived early at the LavenderFest as we knew it would be busy. 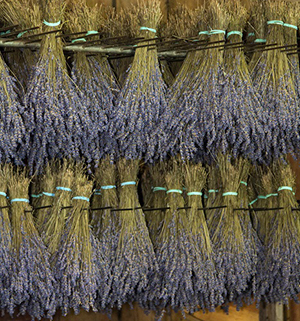 The farm hosts a lovely gift shop where you can purchase bunches of lavender, or soaps, natural bug spray, candles and other lavender scented items at fairly reasonable prices. Wine is sold on the premises. Bonnieheath Estate Lavender & Winery also has a barn with various crafts on display. For a moderate fee, you can select a craft of your choice and they help you create it. Our grand-daughter had so much fun making a lavender scented sachet, which she decorated using stickers, glue and flowers. There are crafts for all ages. We enjoyed walking around the rows and rows of various coloured lavender flowers and taking pictures to our delight. Since my husband and myself are both photographers and had our little Peanut with us, you can imagine our excitement! Baskets and scissors are available by the flowers and you are able to cut the lavender, have it weighed and bound, and take it home for a reasonable fee. The last thing we did was go on a tractor-pulled wagon ride that lasted about fifteen minutes in length. 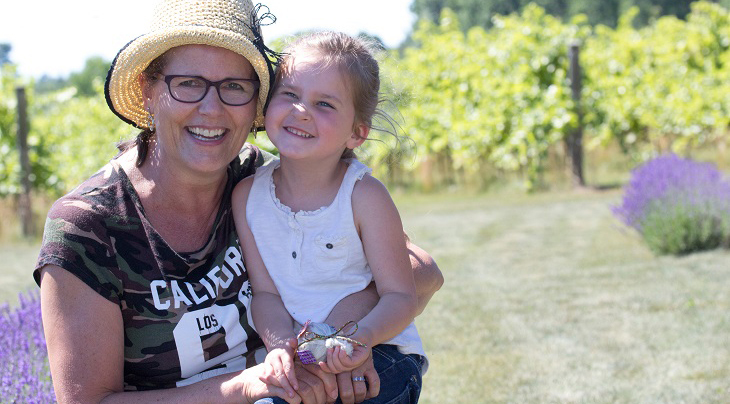 Circling the grape vineyard, the owner of Bonnieheath shared stories of their farm's beginning, the nature that surrounds their land and the successes and struggles of owning a lavender farm and winery. 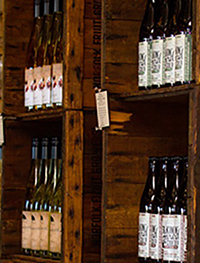 Bonnieheath Estate Lavender & Winery farm is wheelchair, walker and stroller accessible. They do not permit pets on the property except for service animals. Wearing sun lotion and a hat is a must as there are not a lot of shaded areas. Picnic tables and chairs are on-site for those who need to take a break. All in all, we had a wonderful time. Our granddaughter was able to take home a craft and a small bunch of flowers and we have lots of pictures to remember our day by. I'm definitely pre-marking our calendar for next year so we can go again! Graham and Jacqueline Baker are owners and photographers of Memories Through Lens Photography, specializing in weddings and family photography. They have three grown children and one grandchild. The highlight of their summer is spending time with their granddaughter, Amy, and taking her to various places around the greater-Hamilton area. With cameras in hand, all three love to capture memories of their special times together. Angel - Aerosmith or Eurythmics?